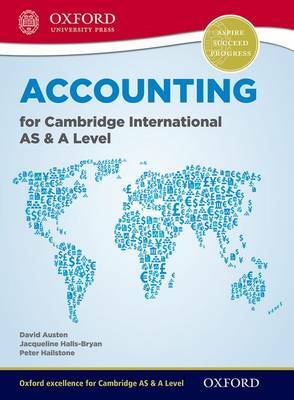 Support strong assessment potential with this comprehensive Cambridge A Level Accounting title, written to match the latest syllabus for first examination in 2016 (9706). Up-to-date and international case studies will support understanding of current business practice, preparing students for assessment and their future careers. Specifically designed to give students confidence in their studies, it covers all the Key Concepts in the latest syllabus. In addition, there is a CD-ROM with interactive activities to reinforce understanding.